As a child growing up in Baltimore, MD, Gail Langellotto was always interested in science. 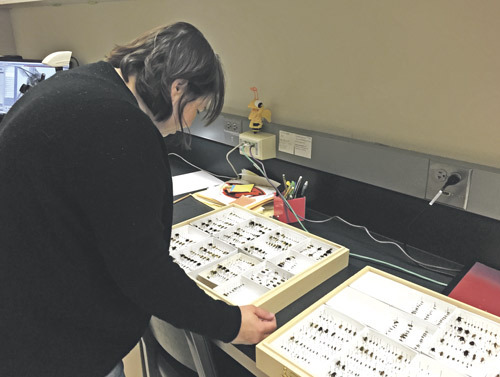 When she took a part-time job in undergrad with an entomologist, her love for insects was sparked. She liked that insects offered her an opportunity to study science outside, and due to popular demand, she began to study insect pests. Now a professor of horticulture at Oregon State University and the state coordinator at the OSU Extension Master Gardener Program, Langellotto helps growers manage their pests with the ideology of Integrated Pest Management (IPM). She explained that during the Green Revolution in the 1950s, chemical controls were cheaper and more commonly used. The goal now, instead of blanket spraying on regular calendar days, is to monitor pests to see when spraying is actually needed. “Take time to identify what the pest is, so you can choose the best tool to combat that pest, and consider all options,” she said. Langellotto said beyond chemical sprays, there are natural, biological controls or horticultural practices that can help keep pests at bay. “Don’t base your entire pest control program on pesticides,” she advised. There are multiple benefits of IPM, Langellotto said. Limiting the use of pesticides and choosing an appropriate pesticide for the pest delays pests from developing a resistance to the pesticide. Another concern is pesticides killing insects that horticulturists weren’t intending on targeting. She added it takes time to learn how to apply targeted controls to specific pests. Langellotto also offers courses in pesticide safety, because along with protecting harmless insects, there is concern for other innocent parties. Times and attitudes have changed since the Green Revolution, because now horticulturalists are preferring a diverse system that creates a natural pest control over a monoculture, Langellotto said. One of the biggest misconceptions she faces is that not all insects are pests. Langellotto’s latest research departs from pests to focus on protecting pollinators and how farmers can take part in that mission. Her department has documented 36 species of bees in western Oregon farms, but she suspects there are closer to 50 species. She is also working in tandem with studying native plant species, to see what pollinators, pests and predators they attract. 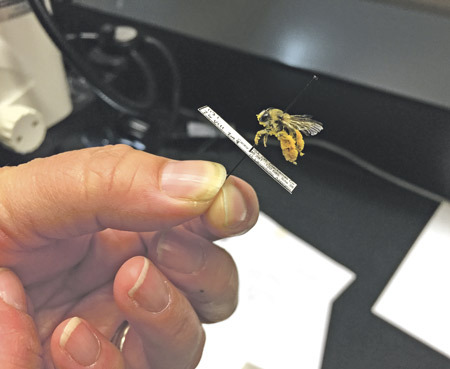 “Farmers trying to attract pollinators and plant flowering strips can make the decision by weighing the potential pests they’ll attract,” she explained. 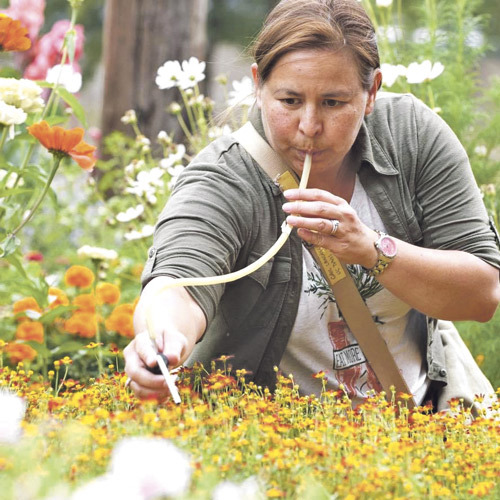 Between helping growers manage their pest problems in a way that’s safe to the environment and helping re-establish pollinators, Langellotto said it’s an exciting time to work in her field.